Channel 4 has commissioned a new political sitcom in the lead-up to the UK General Election. 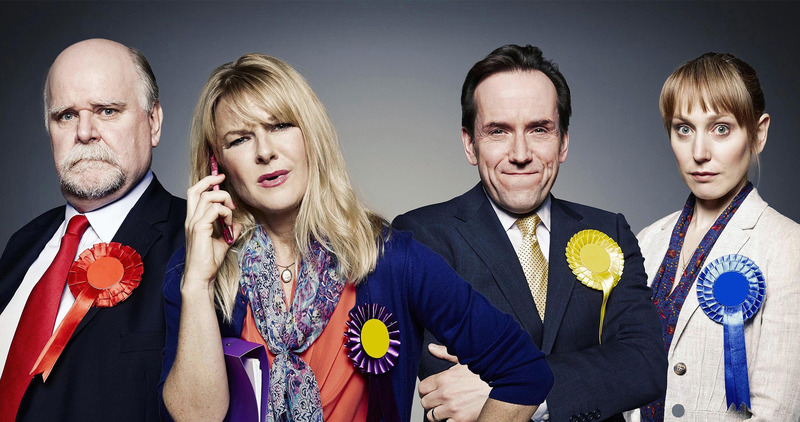 Entitled Ballot Monkeys, the satirical show will star Trevor Cooper, Ben Miller, Sarah Hadland and Hattie Morahan as candidates for Labour, Lib Dem, UKIP and the Conservatives respectively. The five-episode sitcom will be written by Andy Hamilton and Guy Jenkin – they created Drop The Dead Donkey and Outnumbered, so you know it’s going to be good. “We’re very excited about this. We don’t think anyone’s done anything like this before, although we may find out why,” said Hamilton and Jenkin. Ballot Monkeys will air on Channel 4 in May.